French World Cup winner Robert Pires has revealed that he turned down the chance to join Rangers 12 years ago but is pleased to see Steven Gerrard make an impact at Ibrox in his first managerial role. Pires was wanted by Paul Le Guen in the summer of 2006 when the winger was leaving Arsenal but he opted for Villarreal. 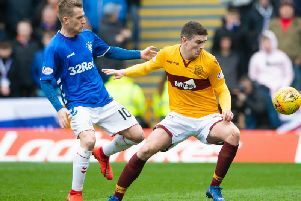 He was impressed with the stature and passion at Ibrox and he hopes he will sample a slice of it when he captains the Rest of the World team at the Star Sixes tournament in Glasgow in January. He said: “It was an honour to receive this offer. Everyone in Europe knows Rangers are a very good club but I chose to go to Villarreal at that time, mainly because my mum is Spanish. “I know Steven Gerrard is doing well for Rangers and I’m happy for him because he deserves it. It’s good to see great players becoming good managers. “It’s not always about money. If you are a manager you need to find a good relationship with the players. For me, that’s the most important thing. “That’s why Thierry Henry, Frank Lampard, Patrick Vieira and Gerrard can relate to players. Their players are more excited because these managers can give some advice and a lot of experience to them. Pires was part of the French squad that won the World Cup in 1998 and he believes the success of Didier Deschamps’ team this summer in Russia was built upon an excellent youth system. He has encouraged the SFA to go to his homeland to learn how to improve the system here. He said: “I don’t know if the structure in France for young players is the best in the world, but it is one of the best. The federation in France prepared for the future and look at it now. “We won the World Cup because the young players grew up in a good atmosphere and now you see the quality and the talent. But you have to find that talent first. And, in France, we find them.